Sometimes a kid at the library draws your picture and it's adorable. And sometimes a kid at the library draws your picture and it's...not quite adorable. Recently a couple of my tween girl regulars were hanging around the reference desk talking about horror movies (they both love them, as do I) and how they want to create a "haunted subway" for Halloween. The subway cars would rock and shake, rats and snakes would scamper and slither over the floor, and blood would drip down from the ceiling (although how that all differs from normal subway cars, I don't know). "I'm going to draw you Tim Burton-style." 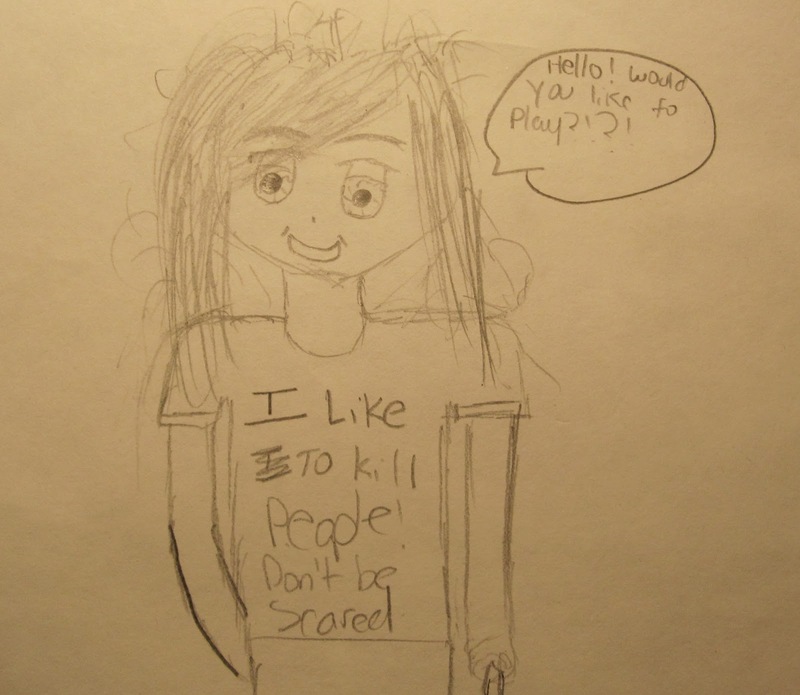 Tween: "If I draw you weird, it's not personal." Me: "No, of course not." Tween: "I'm going to give you weird hair, like you're in an asylum. That's what I see when I look at you." No. No I would NOT like to play. I don't know much about drawing, and even though this artist's rendering of me is not entirely Tim Burton-esque, I do appreciate what she did here and feel that she nicely captured my basic work persona: smiling, friendly, a little deranged. "Why The Library Saved My Life"